H.E. 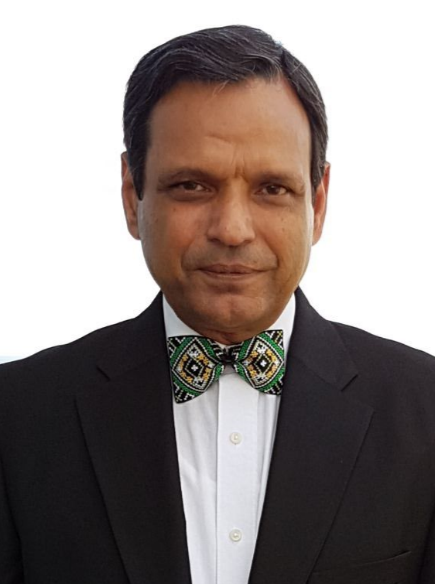 Athar Abbas, a two-star general and a former military spokesperson for the Pakistan Defence Forces, is a diplomat and military expert who serves as the Ambassador of Pakistan in Kiev since 2015. 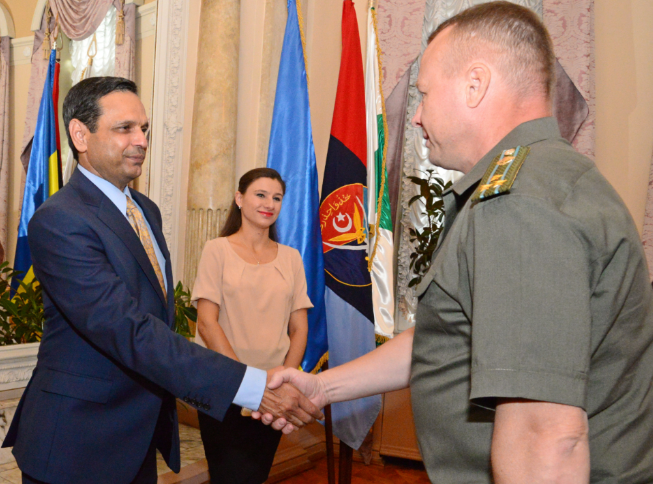 As both Ukraine and Pakistan will celebrate their Independence Days in August, H.E. Athar Abbas graciously agreed to an interview for this festive issue of Kiev Check-in and shared with us his valuable insights about potential trade and business opportunities, huge prospects of tourism and cultural exchange that exist between our countries and expressions about Kiev and Ukraine in general as below. Your Excellency, we greatly appreciate you taking the time from your busy schedule for this interview. 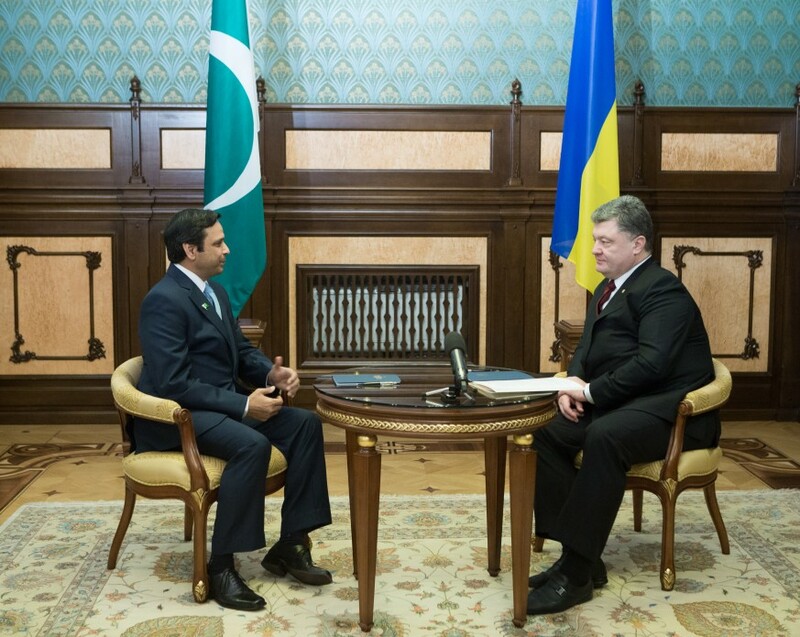 Since your appointment as the Ambassador of Pakistan in Ukraine, how do you find the Ukrainian nation and its people? Ihave a great respect and appreciation for Ukrainian people and the nation. I truly admire their resilience and courage to face various challenges during present times. Despite an economic crunch, I found Ukrainian people very resilient and dedicated to their work. Ukraine is also rich in ancient art and with a unique culture. The street art and handicrafts here are innovative and amazing. We have been able to collect quite a few pieces to carry home. We think we are very fortunate to have been posted here. This interview coincides with the Independence Day of Pakistan and Independence Day of Ukraine in the month of August. What are the major areas of trade between the two countries? Are you satisfied with the current volume of trade? What measures do you feel should be taken to increase this? The major areas of trade between Ukraine and Pakistan are agricultural products, sports and surgical instruments. There is a great desire to increase the volume of trade in textile products, leather goods, fruits (particularly oranges), surgical instruments, metal scrap, and IT industry. We have been able to connect and organize the meetings between two chambers of commerce and industries apart from connecting individual groups and businessmen of both the sides. Our leading businessmen have attended EXPOS and international conferences in Ukraine in the year 2016 and 2017. Similarly, we have extended an invitation to Ukrainian Chamber of Commerce and Industry for EXPO 2017 to be held in November in Pakistan. We need to hold more exchanges and visits to each other EXPOs and conferences for more awareness from the business community to explore the trade potential between the two countries. What is the current level of tourism between the two nations and what steps is the Embassy taking to promote this? Do you see a big potential in this field? The current state of tourism is not satisfactory. We are trying our best to promote this area. I have held several meetings with concerned tourism organizations. The Embassy also facilitated the Ukrainian skiing team’s participation in a skiing competition held in Pakistan this year in March. We have contacted local media organizations to air Pakistan’s tourism advertisements in Ukrainian. A magazine like “Kiev Check-in” may help inform Ukrainians about potential tourist opportunities in Pakistan. At the same time, the Ukrainian government needs to focus on liberalizing the visa process to encourage more Pakistanis to visit Ukraine for tourism. our Excellency, is Ukraine an attractive destination for Pakistani students for international education? What challenges currently exist in this space? Ukraine is a very attractive destination for Pakistani students in many disciplines. Around 500 Pakistani students are studying in various universities both private and public in Ukraine. Pakistani students find medical education an attractive discipline. There are many students in Kharkiv medical university and Ternopil medical university. Our effort is to connect the universities of both countries in exchange programs as well. In this regard, International Relations Department of Taras Shevchenko University has been connected with International Relations Department of Quaid-i-Azam University. A seminar on Skype was also held this year with participation of both country’s ambassadors followed by a visit from the Head of International Relations Department, T.S. University to Quaid-i-Azam University, Islamabad. We have more such projects in pipeline. The main challenges in education sector are language, diploma/degree equivalence system, and lack of awareness about existing quality of education in both the countries. What are the key challenges the Embassy of Pakistan faces while trying to increase the cooperation between Pakistan and Ukraine? The key challenges: how to overcome the barriers of language and distance? Increase the volume of civilian business and trade like the trade and cooperation in defence sector, is on the right trajectory. Enhance socio-cultural exchanges between the art/cultural/musical groups and organizations of both the countries. Publicize the tourism potential of Pakistan appealing Ukrainian audience. Facilitate the sports teams of both the countries to participate in each others’ sports competitions and learn from each other. To promote military ties focusing training on counter terrorism as Pakistan has acquired rich experience in this field during operations on Pak-Afghan border and a successful handling of internal security situation. hat are your recommendations for Ukrainian businesses that wish to explore the market of Pakistan and Pakistani businesses that are interested in Ukraine? Ukrainian businesses: Please visit Pakistan to explore the Pakistani market for importing raw cotton, cotton bales, textile fabrics, surgical instruments, fruits like oranges, apples, leather goods, high quality rice, lentils and see the feasibility and opportunities to participate in the China-Pakistan Economic Corridor (CPEC) and its related projects, like infrastructure development requiring massive quantities of imported steel. Pakistani businesses: Please visit Ukraine to import metal scrap, IT equipment, machinery, telecommunication equipment, sunflower oil and seeds, wheat, material related to shipping industry and mining industry, equipment related to defence industries. Import material required for CPEC projects. Is Pakistan a safe country to visit? What would be your advice to Ukrainians who are interested in such a trip? Pakistan is a nation of 200 million people. It has fought a war against violent extremism and has cleared a vast territory occupied by terrorists at its border with Afghanistan. It has paid a heavy toll. Over 60,000 people have been killed, including 6,000 armed forces officers and soldiers. It has brought peace and order to the area. It is very safe to visit Pakistan and travel around the country. Every year hundreds of tourist around the world travel to Pakistan and share their experiences, on social media. It is safe and very economical to travel and move around in Pakistan. 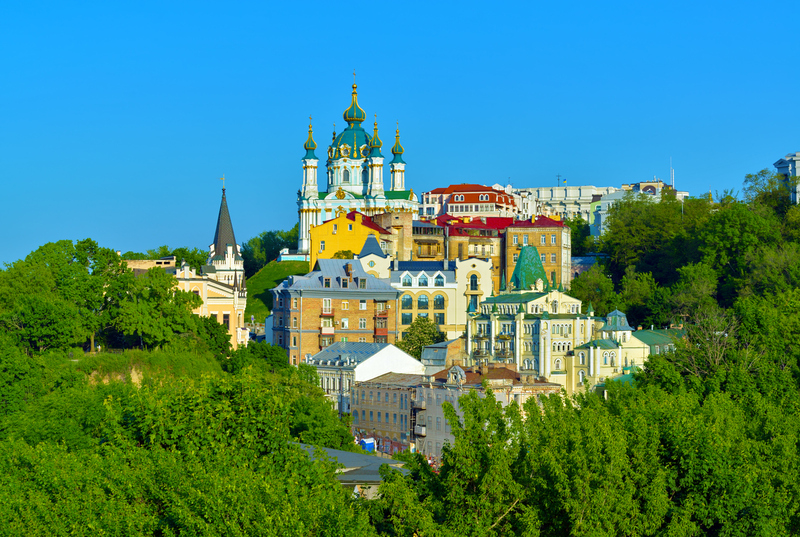 ell us about your favourite place in Kiev and why. Our favourite place in Kiev is Andriyivskyy Descent. On weekends, we find the street full of art and crafts, different kinds of beautiful paintings. We enjoy the hustle–bustle of the street full of locals and foreigners. We appreciate the local artists for their skills and aesthetic sense to represent Ukrainian art and culture. We make it a point that none of our personal and official guests leave Kiev without visiting Andriyivskyy Descent.